Mark Schlarbaum joins the 100,000 Strong Foundation as its latest supporter. Schlarbaum, managing partner at Krane Funds Advisors, LLC, will lend valuable insight into Chinese investment, financial markets and US-China business opportunities. Today, Mark Schlarbaum, managing partner at Krane Funds Advisors, LLC (KFA), announces he has become the latest supporter of the 100,000 Strong Foundation. In this new role, Schlarbaum will lend valuable insight into Chinese investment, financial markets and US-China business opportunities. “Schlarbaum was drawn to 100,000 Strong through his role at KFA, an investment advisory firm that primarily provides advice on China-focused investment opportunities. He has traveled to China multiple times and developed an expertise in both the onshore and offshore Chinese financial markets. “We’re honored to have the support of Schlarbaum and KFA, and to work toward shaping a more constructive future for US-China relations. Schlarbaum and KFA’s connection between expanding Mandarin language learning in America and promoting investment in China speaks to their long-term commitment to being a leading provider of China-focused investment products in the US. For more information, please visit http://100kstrong.org/. 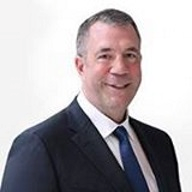 Mark Schlarbaum builds and develops business relationships with mainland Chinese investment professionals including Chinese brokerage firms, QDIE private funds and Chinese investment management firms, providing investment products and helping them achieve their desired target returns. Schlarbaum joined KraneFunds in October 2015 as a managing partner. He has over 23 years of investment experience consisting of equity trading in both international and domestic markets as well as managing diversified investment portfolios for some of the largest advisory platforms in the U.S. He previously worked for T Rowe Price for 7 years where he was responsible for trading over $40 billion of assets consisting of domestic and international equities, options and futures. In 2003, Schlarbaum left T Rowe price to pursue his own successful entrepreneurial endeavors, which ranged from managing equity long-short portfolios to domestic small cap long-only SMAs, the latter of which grew to over $400 million AUM. He has seen companies grow from the ground-up both through his experience launching his own funds and also early on in his career when he worked as a senior equity trader for Pilgrim Baxter & Associates. Schlarbaum saw assets grow from $1.8 billion when he first joined to $18 billion over the 3 years he was employed there. Schlarbaum leverages the depth and breadth of his experience launching and growing hedge funds to assist the KraneFunds team in developing custom tailored investment strategies for clients in both the United States and China.